Please join us after the screening for a talk back with the artists. PatternNation welcomes you on the journey that is TRIANGULATE. Filmed within three cities: Durban South Africa, Vancouver and Nanaimo Canada this film brought together 21 diverse artists between the two countries. The journey begins with the introverted self, the part of us that experiences solitude, intimacy and self-reflection. In the first scene vocalist Nipho Hurd brings us into nature with her track while dancers Lorin SoKool, Marisa Gold and Jason Bempong express and explore with PatternNation’s interactive soft blob sculptures. Our creative compass takes us next to the extroverted self, the part of us that experiences social stimulation, attention and excitement. The extroverted self is expressed by Lex Lafoy’s track Sibaningi’la (Zulu) There are many of us (English). We celebrate community connection with the full Durban cast and Vancouver dance company Immigrant Lessons. This voyage ends in exploring the creative self, the part of us that experiences innovation, exploration and originality. 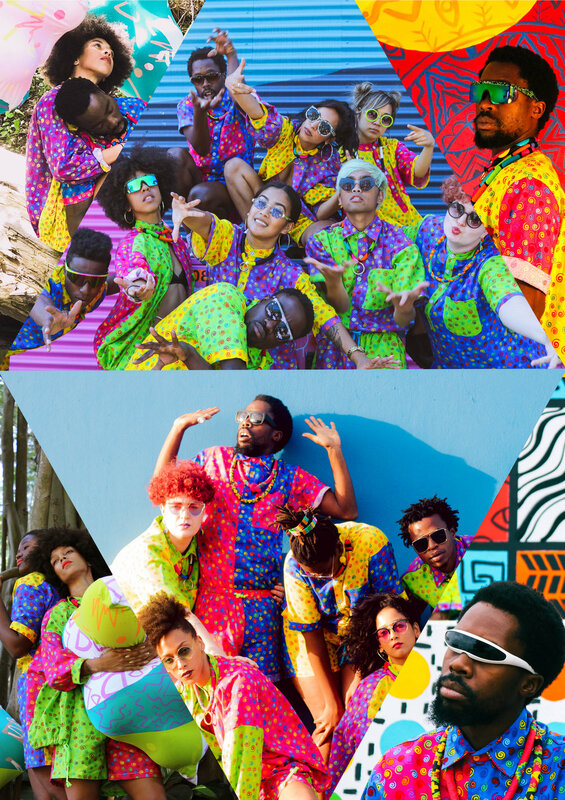 Set amidst PatternNation Murals CostaBesta’s experimental track is danced by TJ Jali and choreographer Lorin SoKool in Durban, Marisa Gold and Jason Bempong (Immigrant Lessons) in Nanaiamo and performed by CostaBesta in both cities. The introverted self, the extroverted self and the creative self complete the triangle that is TRIANGULATE. Thank you for joining us on this colourful trip as we explore connecting the Mind, Body and Soul through dance, visual art, self-expression and cross-cultural exchange. *All music in the film has been produced by Missu and respective artists for this project. “E_GO” is an analysis of the dualistic nature of the ego mind and its role in shaping one's identity and perspective on oneself. Exploring the extremes, and character attributes such as the superiority and inferiority complexes. In addition, the introduction of the interiority complex a term coined by Caroline Mchugh in her TEDxTalk, “The art of being yourself.” A disposition in which describes the equilibrium between the two extremes of ego, a state of mind where you can truly be yourself. Pulling from Eric’s experiences in dealing with his own personal struggles in finding his own self-identity and ultimately as a dance artist. The film utilizes mirrors as a visual representation of the different aspects of Eric's ego. This will further the idea of self-reflection and create a medium for Eric to eventually find balance and interiority within himself. ALL THINGS GROW is the assemblage of found parts, that seem somewhat arbitrary, collaged together as a way to create a new whole. A half truth. This film embraces the aesthetics of millennial tropes, the novelty of how we communicate, and why we are terribly nostalgic. How do we translate what we feel in our bodies? Into a material? Into a colour? A pattern? A sound? What does that look like online and “IRL"? Your influence is larger than a 640px X 640px square. HOW DO YOU PERFORM YOURSELF? powdered sugar is a video exploration of the sound of movement and the movement of sound. What does it mean to see sound? What artifacts does it leave? Can movement induce sound memories? Can we dream in sound without image? Foreign Ghost is the experience of being neither, both, one or the other. Based on the experiences of Chinese-Canadians, Foreign Ghost attempts to give the community an understanding of biculturalism and biracism. The journey is followed throughout Vancouver, exploring the different cultures in space and how that influences identity. Water can influence the movement of a fish if it is not strong enough to swim in the direction it wants to go.